ABSTRACT SUBMISSIONS FOR RANZCO 2017! There will be two options for the more serious riders, 50km and 70km. There is plenty of opportunity for more casual riders to hire hybrid style bikes and self-guide themselves around Perth. The three bike hire firms are VeloCity, About Bike Hire and Cycle Centre Perth. For those that would like to enjoy what Perth offers on the Golf Course we recommend the below club. You can contact them directly to arrange a tee time on a day that suits your plans and payment can be made on the day of play. Ceire Turner, trained as a chef in Jamie Oliver’s restaurants in Sydney and Perth. 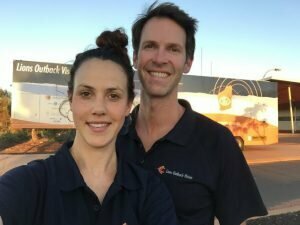 She joined the Lions Outback Vision team in January 2017, following her husband, Dr Angus Turner, into the outback of WA. Keeping herself busy while her husband did eye surgery and saw patients in the country towns, Ceire created a health education program which she is currently teaching in schools in regional WA. These lessons teach students the connection between diabetes and blindness and equips them with the knowledge of how to cook a healthy meal for their families. When in Perth, Ceire works as a chef for OzHarvest, inspired by their desire to reduce waste in the food industry. She will be hosting a cooking class where participants will learn how to create a simple recipe which celebrates local ingredients and healthy eating. To register, please use this link. Outline: This tour includes return transfers from the Perth Convention and Exhibition Centre, wine blending, tour of wine making facility and a three course set menu lunch in the Gold-Plate Award Winning restaurant. Time: The departure time for this tour will be confirmed closer to the date. Transport to the winery will leave from the Perth Convention and Exhibition Centre.